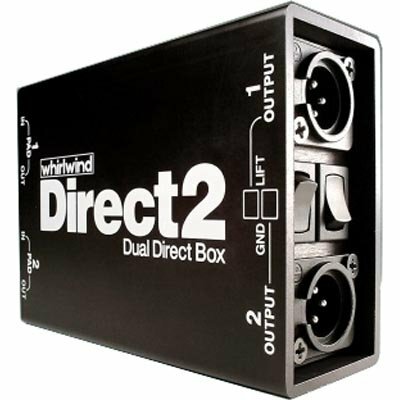 The DIRECT2 combines features found on two of Whirlwind's DIRECTOR direct boxes into one unit. Perfect for converting unbalanced signals from stereo keyboards, acoustic guitar preamps, CD and tape players, computer sound cards, etc. The input and output grounds of each section are isolated from each other. This allows the DIRECT2 to be used as if it were two completely separate DIs without fear of creating ground loop interaction.